Art inspired by nature by graphic impressionist Solveig. 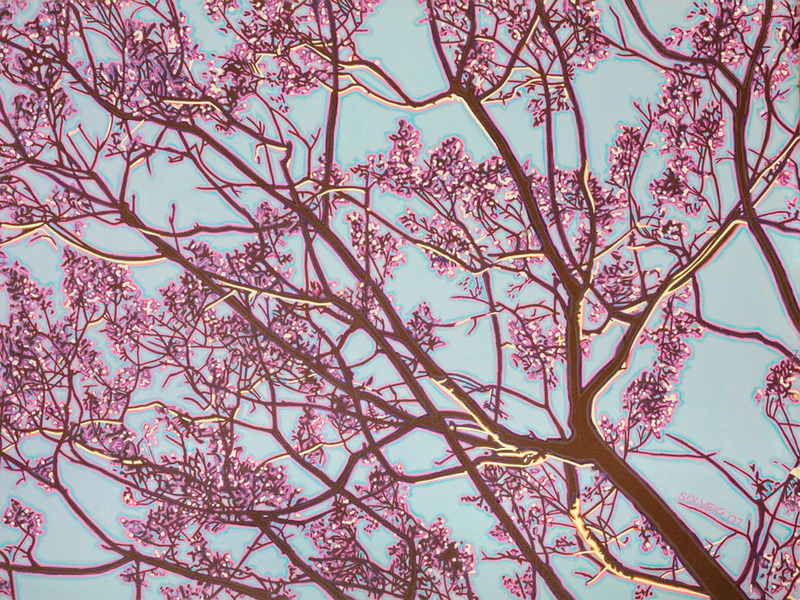 The Jacaranda tree was full of flowers, screening the clear blue sky with branches and blossoms. It reminded me of my mind. Infinite space filled with thoughts and desires. Jacaranda colour merges with sky in beautiful harmony and rapport. Both space and form in balance. It’s what I want for my mind.